Published on 2019-02-19 in democracy and politics. I am writing to you again, despite your previous mass boiler plate replies, to implore you to represent your constituents and the country and do your very best to stop the terrible damage that will be inflicted if we leave the EU. 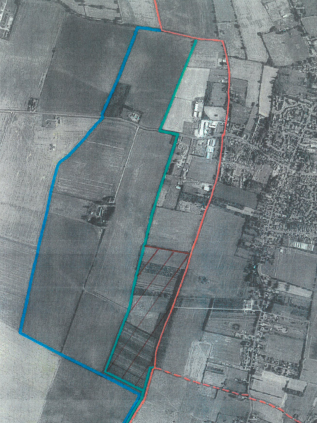 Damage which the Government’s own assessments have stated will happen. Damage which will only be intensified if you let the small fraction of your party represented by the ERG hold the entire country to ransom. You claim that the only way forward is to “respect the referendum” because to hold another vote now would be undemocratic, even though the first referendum was merely advisory, illegally funded, based on proven lies, and without understanding or explanation of the effects of leaving the EU. Your leader has said that another vote would “destroy people’s faith in democracy”, as if democracy meant voting once and never ever changing your mind. Yet, this same leader has been defeated twice and still intends another vote on the very same deal. The only difference being that we are now even closer to disaster. Attempting to win by blackmail and coercion does not appear democratic to me. The UK government has been reduced to an object of international ridicule. We will probably never regain the respect and influence we once had. You have spent money on Ferry Companies without ferries, embarrassed us all with lorry park experiments when even the lorries did not turn up, we are now on our third Brexit secretary; yet even now we plough on. There is a way out of this mess. Your party got us here, in an attempt to appease a small number of MPs. It has backfired spectacularly and served only to amplify their influence. The Labour party is no better. Only the people can fix this, in a second referendum. I disagree profoundly with almost all your policies, but in the end these have only temporary effects, as government will inevitably change. They will not cause the long term irreversible harm which leaving the EU is about to inflict. For our children’s sakes, to regain some respect in our institutions, for co‑operation with our neighbours, please stop this. Please support a people’s vote. Published on 2015-04-29 in stupid. 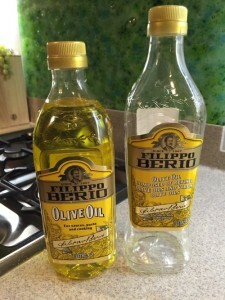 We’ve been buying Filippo Berio olive oil for years. Some say that’s an error, and there is much better olive oil to be had, but we’ve been happy. Now some bright spark in their marketing department has changed the bottle. “Why is that bottle empty,” you might ask, “if it is new?” Excellent point. Let me demonstrate. Published on 2014-02-07 in media. There’s a perfectly good English word available to use when you need to get information from a third party. It’s “ask”. Please stop “reaching out” instead. I’m exposed to this a lot on tech news sites, usually American. I even had it in an email yesterday, “I am reaching out to you to find out…”. It’s usually used in response to some bogus news story, where the author has “reached out” to the party in question for some feedback. Probably they just phoned the press agent. While I’m ranting, there is an even more galling habit I see a lot in online journalism. It is the irritating imperative to “think”, usually parenthesised, which seems to be a way to avoid using “e.g.” or “i.e.” It’s hard to find examples, as Google can’t search for punctuation, but here’s one: “a fun little distraction .. before Disney Interactive reveals the real iOS (think iPad) app for the game.” And another: “combining raw film footage with animated characters (think Angry Birds in real life)”. I can’t quite explain (even to myself) why this annoys me – probably because it is a little bit patronising and has more than a whiff of dumbing-down. Thankfully this one has not (yet) reached any reputable reporting. Unlike “super”, which is now everywhere. I remember reading a prediction (but annoyingly not where) that this was going to be the word of the moment for the coming year, and didn’t quite believe it. The last time I’d heard it used in conversation was by my Auntie Marie when I was but a teenager. Now every presenter is “super excited” about their next guest, or “super happy” to be talking to you and “super thrilled” that you can join them. I’m super reaching out (think: asking) for you all to stop it.